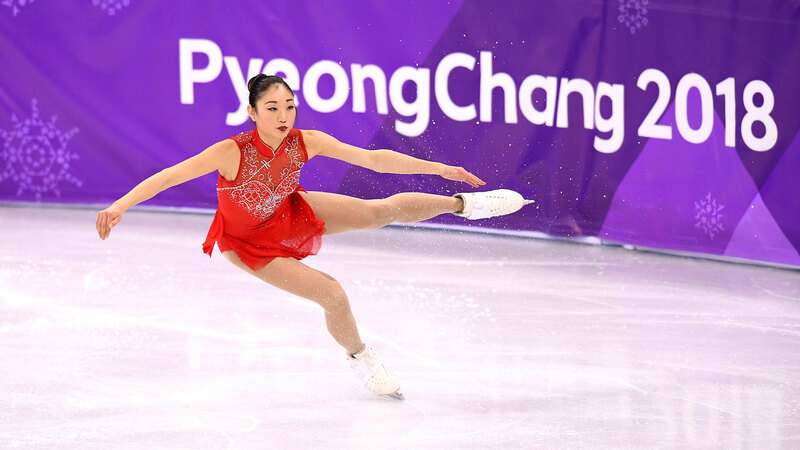 Olympic figure skater Mirai Nagasu didn’t have her period when she landed her historic triple axel at the 2018 Pyeongchang Games, but if you ask her, it wouldn’t have mattered. In an interview with Cosmopolitan, the she revealed that she was menstruating on her way over to the Olympics, but even if it continued while she was competing, it wouldn’t have stopper her. Nagasu is the latest athlete to talk about how her period affects — or in her case, doesn’t affect — her performance. But is this something she even needs to (or should) address or an important addition to the conversation around menstruation? Like pretty much everything else related to ovaries, vaginas and uteruses — it’s complicated. On the one hand, women are so frequently reduced to our menstrual cycles — and how it impacts us mentally, physically and emotionally — and discussing it may only arm those who try to use it to disqualify us (like saying that we’re not fit to be president or fly a plane). For example, if a person with severe period pain mentions how debilitating it can be, it may make others think they’re not able to function. And the thing is, for a lot of menstruators, that may to a certain extent be true. After all, we know periods can be as painful as heart attacks. Not to mention that no athlete — or anyone else for that matter — wants people to focus on a monthly bodily function instead of their professional abilities and accomplishments. But on the other hand, there is still a huge stigma around periods that will only go away if people — including those with a platform, like athletes — talk about it. And that, friends, is what’s known as the period paradox: The delicate balancing act between normalizing menstruation, not allowing it to disqualify us and yet having it taken seriously as a health condition worthy of research and resources. Periods, for many people, are too gross to even bring up in polite conversation. And that’s just as unfortunate as feeling like you have no choice but to stuff a tampon up your sleeve on the way to the bathroom at work. Of course, a lot of menstruators don’t feel like they have another option out of fear they — or their work — will be judged by colleagues who know it’s their time of the month. This is all part of the problem. So when athletes like Nagasu, gymnast Aly Raisman and Chinese swimmer Fu Yuanhui speak openly about their periods — whether it’s truly not a big deal to them or if it somehow impacts their performance — it helps everyone. People who menstruate hear that others have the same struggles — or lack thereof — that they do, and those who don’t have periods get more accustomed to hearing it talked about like a normal, healthy bodily function. Because it is.